Trace Sports International HD Channel now available free-to-air on ABS-2 Satellite. 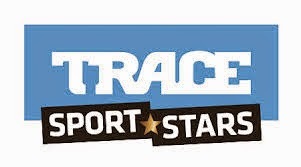 TRACE Sport Stars is the first entertainment channel dedicated to the lives of sport celebrities. It takes a unique behind the scenes access on sporting icons. A new experience for me to return right here and continually successful. Like your all factors. You have executed simply an excellent work and attempted to percentage your thoughts with us. Thank you for the facts you offer, it helped me loads. I desire to have many extra entries from you. Also hold paper writing service reviews to get more statistics about genuine services. Congratulations Byer Nathan Thank you for your comments!